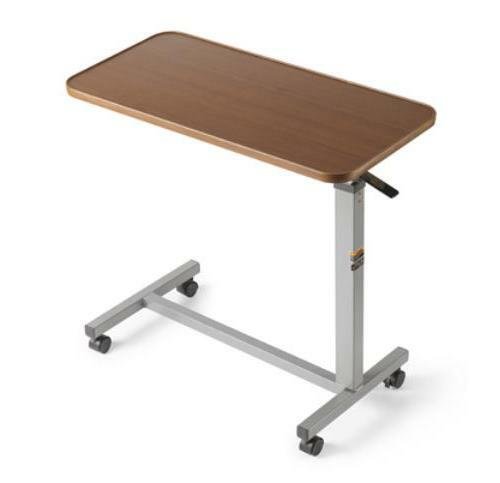 Invacare Auto-Touch Overbed Table features spring-loaded, locking handle to easily re-position and secure table top. The Invacare Auto-Touch Overbed Table is is height adjustable, making it perfect for users when reading, writing or eating. Features an attractive walnut, wood-grain laminate top with molded edge for damage protection and includes casters to ensure smooth and easy mobility.